I mean, it was a different type of tomato, so the experiment didn’t have perfect controls, but I'm still pretty happy about the result. So I really wanted to choose a recipe to celebrate this glorious tomato. That is, apart from just eating it plain. 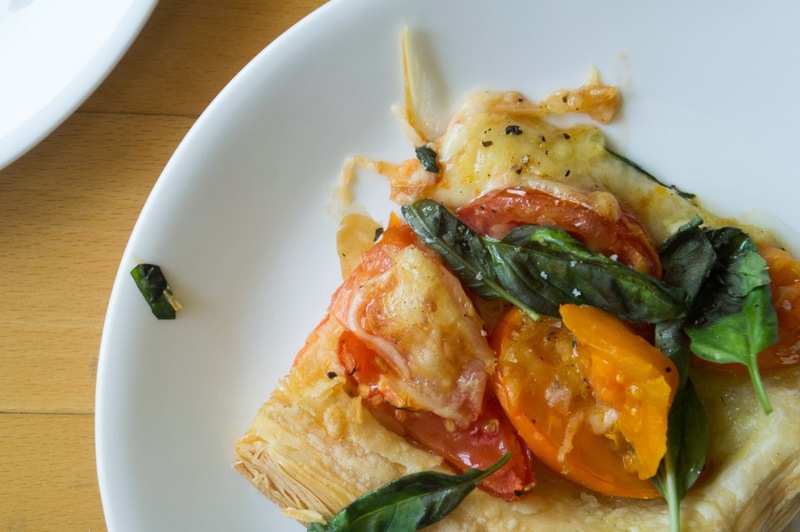 Behold the roasted tomato tart. 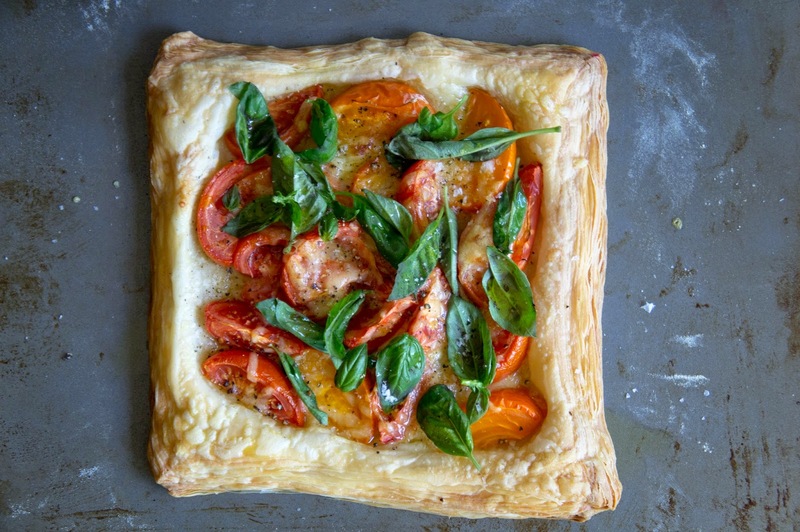 Bright, ripe tomatoes spread over a bed of flaky pastry with minimal seasoning and additions. 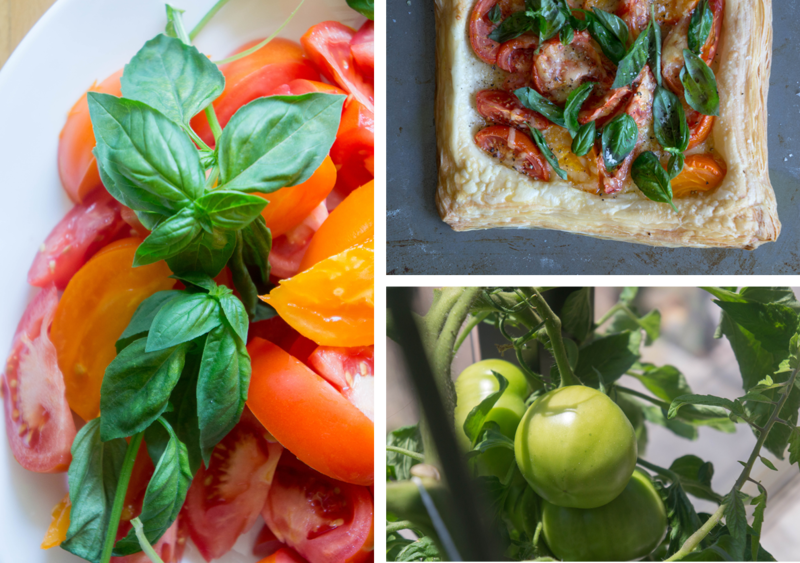 A scattering of fresh basil (also from our balcony garden) and a drizzle of olive oil. Now we just can't wait for the remaining 26 tomatoes to ripen! Slice tomatoes into 6ths or 8ths depending on the size. On a lightly floured surface, roll out puff pastry into approximately an 8x8 square and place on parchment paper. 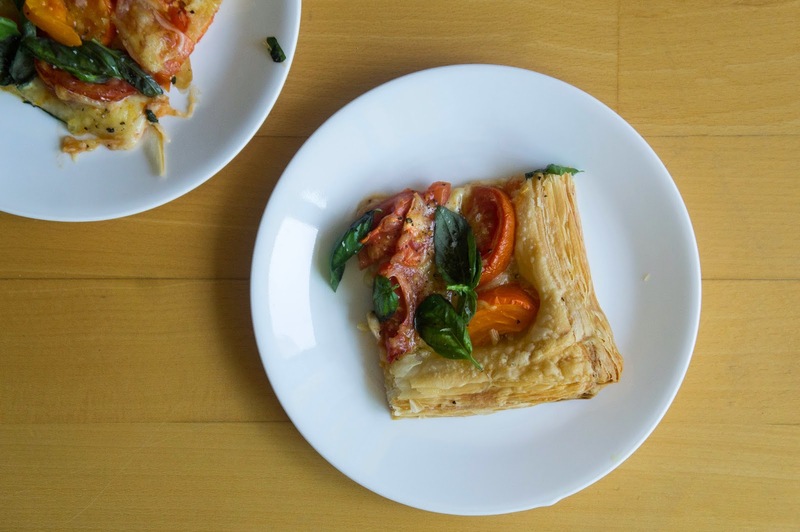 Using a fork, poke the puff pastry all over leaving a 1 inch border untouched. Pile tomatoes on the puff pastry leaving the border empty. Sprinkle on the grated cheese. Bake in the center of the preheated oven for 25-30 minutes, or until pastry is puffed and golden brown and cheese is bubbling and golden. 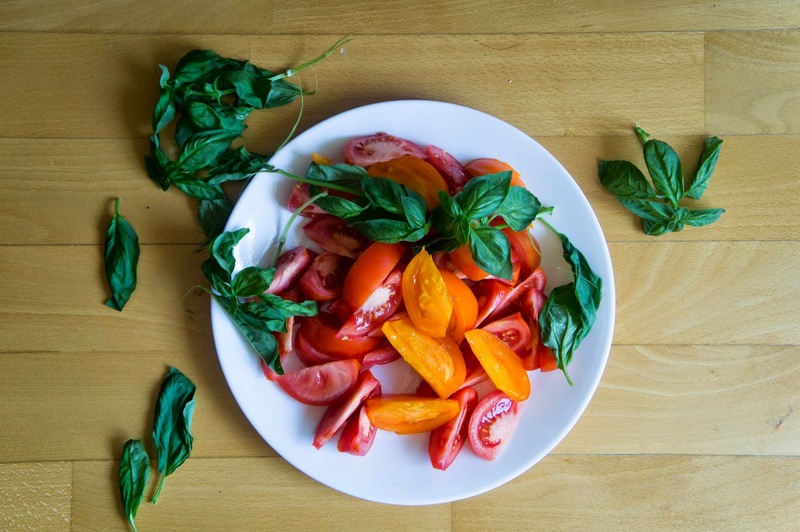 Remove onto a rack and top with the fresh basil. Drizzle with olive oil and sprinkle with freshly ground pepper and fleur de sel.